I began reading this book as soon as I received it. It was tough to put down! Just as thrilling and suspenseful as the first book in the series, it will be keep you reading to the very last page. If I were a nail biter, I would have been biting my nails through the entire thing. Instead every time, I had to put it down, I just kept picking it right back up saying to myself just one more chapter. Well, within a little over 24 hrs I was finished, so make sure you carve out some reading time with this one. person, finds herself drawn to God. Terri does an awesome job presenting the gospel as well as answering some tough questions about His love, such as, "Where is He when bad things happen to good people?". She doesn't claim to have all the answers, but she encourages us to look for his blessings amidst the chaos and craziness of everyday life. To find him in the hard times, in the simple things, whether that be in the day to day provision or simply the awesomeness of His creation. I received a free copy of this book courtesy of the publisher to read. A positive review was not required and all opinions are my own. In this riveting sequel to the USA TODAY bestseller If I Run, evil lurks, drawing Casey out of the shadows . . . but there is light shining in the darkness. As Casey works to collect evidence about the real murderers, she stumbles on another unbearable injustice: an abused child and a suicidal man who’s also been falsely accused. Casey risks her own safety to right this wrong and protect the little girl from her tormentors. But doing so is risky and may result in her capture—and if she’s captured, she has no doubt she’ll be murdered before she ever steps foot in a jail cell. 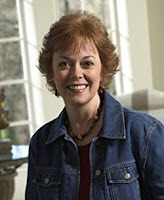 Terri Blackstock has sold over seven million books worldwide and is a New York Times and USA TODAY bestselling author. She is the award-winning author of Intervention, Vicious Cycle, and Downfall, as well as such series as Cape Refuge, Newpointe 911, the SunCoast Chronicles, and the Restoration Series. I typically don't enjoy overly suspenseful or violent stories (although it doesn't sound like this one has a lot of graphic violence in it). this one sounds like one I should try. It's not necessarily graphic. It does contain some talk about a child who is being molested, suicide, and some other suspense, but not in graphic detail. It is definitely one you cannot put done.